On Sunday, friends and family of Ke'Arre Stewart identified him as the third victim in Friday's shooting at a Planned Parenthood clinic in Colorado Springs, Colorado. Stewart was a veteran of the U.S. Army who had previously served in Iraq, as well as the father of two daughters. Authorities have not officially identified Stewart as a victim, but messages of support for his family have appeared across social media. Stewart, 29, first moved to Colorado because of the Army, a longtime friend said Sunday. He enlisted after graduating from high school in Texas, and he had previously been stationed at posts in Texas, Germany, and Colorado, according to reports from multiple friends and relatives. "He moved to Colorado because he was stationed there, but he stayed because he loved it," said Eric Cross Sr., who had known Stewart since the two were in sixth grade. Cross spoke Sunday to The Denver Post. Angela Stewart, the victim's cousin, spoke to The New York Daily News, saying, "He had a heart of gold," and that there was "not a violent bone in his body." In addition to these friends and relatives, Stewart leaves behind a wife and two daughters. His wife told KKTV, a local CBS affiliate in Colorado, that all the family wants moving forward is justice for Stewart. Meanwhile, a friend named Amburh Butler has set up a GoFundMe page to help cover Stewart's funeral costs. According to Temprest Llyod, Stewart's sister, Stewart had gone outside the Planned Parenthood center to make a phone call when he was shot by the gunman. After being shot, he heroically ran inside to warn others and called 911, Llyod told CBS Denver on Sunday. 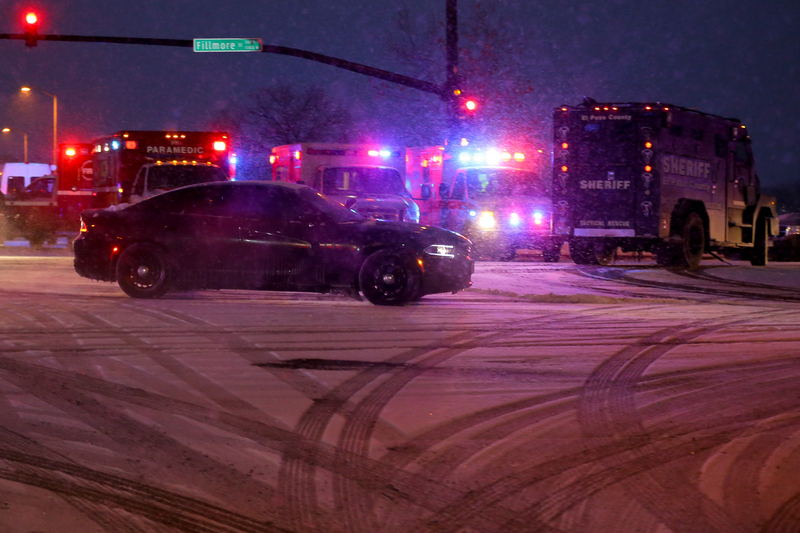 Friday's shooting also killed 36-year-old Jennifer Markovsky, a mother of two and military wife, and 44-year-old Garrett Swasey, a police officer at the University of Colorado, Colorado Springs and father of two. In addition to the tragic deaths, nine people were injured in the attack. Vigils took place throughout the weekend to honor the shooting victims.